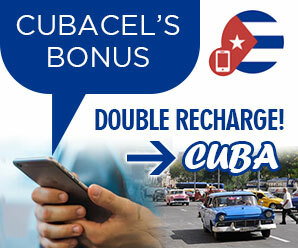 cubacayolargo.com | Want to know before you go? 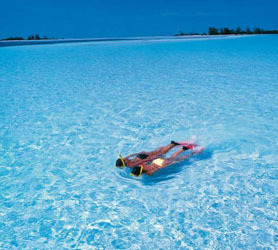 Official Cuba Cayo Largo information and guide, get facts and latest news. 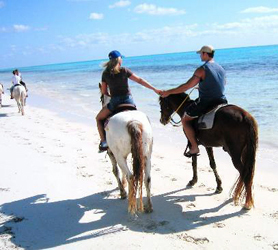 The beaches are the main attraction on Cayo Largo de Sur. These are simply the most amazing beaches you’ve probably ever seen, virgin sands that extend for 24 kilometers along the Caribbean coast, with their vitality and beauty against the backdrop of the gentle waves that embrace the gently sloping coast. All of them have first class conditions for open-air recreation and practicing marine sports. The sand is of seashell and coral origin, fine and white, meaning that it does not heat up. Lindamar Beach: curves like a shell and surrounded by white rocks. 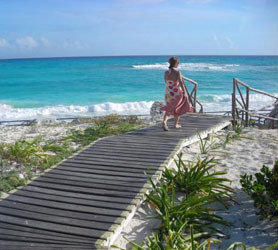 This Cayo Largo Beach extends for 5 kilometers and is situated in a very private setting. Sirena Beach: this Cayo Largo beach is 2.3 kilometers long and is one of the most beautiful on the Cayo. It is truly a dream-like protected place, with fine sand which is always cool on account of its geomorphologic formation. Los Cocos Beach: Was given this name due to the amount of coconut palms that bestow their shade and fruit on the beach. Paraíso Beach: A tribute to unspoiled nature of Cayo Largo, this is an exceptional place for those seeking privacy. Being an island Cayo Largo is currently only accessible by Air or Sea. There are no plans to build a causeway to Cayo Largo. The Vilo Acuña International Airport in Cayo Largo del Sur is equipped to accept large scale aircraft and fulfils all security requirements set out by the International Civil Aviation Organization (ICAO), radio-navigation support, and has the capacity to attend to 300 passengers an hour. 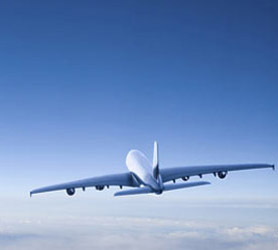 It receives aircraft from Frankfurt, Milan, Montreal, and Toronto. There are daily flights departing for and arriving from Havana. Additionally, there are weekly excursions to other major resorts in the country such as Varadero, Trinidad, Pinar del Río, Cienfuegos and Santiago de Cuba. 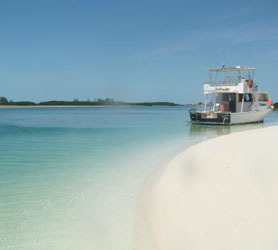 Cayo Largo del Sur Yacht Marina offers immigration, customs and on board services. Cayo Largo del Sur is located right in the center of the Caribbean Sea, to the far east of the Los Cannareos archipelago and to the north east of the Cayman Islands. Its surface area is 37.5 square kilometers, while it is 25 kilometers long, almost all of which is beach. It is situated at a distance of 135 km from Nueva Gerona (Isle of Youth), 125 km from Cienfuegos, 177 km from Havana and 177 km from Varadero. Cuba Hotels by province is offered exclusively from the Cuba Cayo Largo team at Travelucion. Browse Cuban hotels by category, price or read Cuban Hotel Reviews. Travelucion also offers independent reviews on over 400 Casa particular in Cuba all accessible from the links below and conveniently situated in each Cuban province. We hope you find the Cuban accommodation you are looking for and our list helps you with your Cuban hotel bookings! Isla de Juventud plans both a ferry service to the islands and, our provincial government is in talks with Thomas Cook and Thomson holidays (UK) for Cayo Largo del Sur to be a cruise stopover port commencing 2016. This will bring more tourism to the islands along with increased awareness of the Jardines de La Reina archipelago.